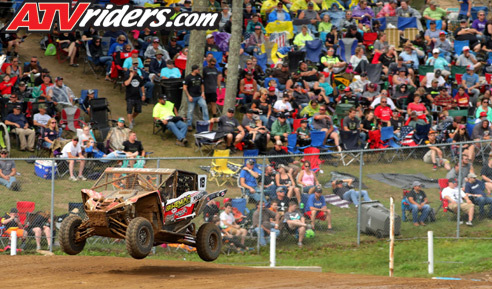 Saint Croix Falls, WI (9/10/2018) – Bikeman Performance driver Zach Martin scored two top-ten finishes during the season finale of Midwest short course SXS racing season at Crandon International Raceway. Martin was driving a Yamaha YXZ 1000R in the Pro Stock class. 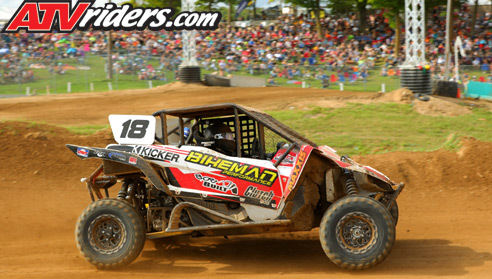 The weekend included two races: the season finale of the Midwest Short Course League and the Crandon World Cup. In the MWSCL race, Martin qualified fourth, but was held up by a slower competitor during the race and finished eighth. Martin finished eighth in points with his best finish, a second, coming at ERX in Minnesota. 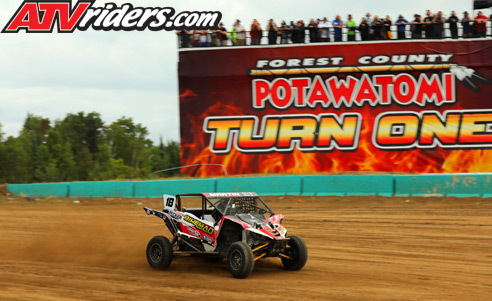 In Sunday’s Crandon World Cup race, Martin again qualified fourth and came out of the gate sixth. Despite the competitive nature of the class—with the top 20 within one second of each other in qualifying—he held his position and finished sixth. Martin was in his first year under the Bikeman tent, though he had worked with team owner Jimmy Krantz quite a bit in the past. He said the team brought a lot to the table this year and made sure he was competitive. Martin will spend the off-season further developing his Yamaha at his home base Georgia. Look for him to run another competitive season in the 2019 Midwest Short Course League.